Welcome to Aoi Garden Home! 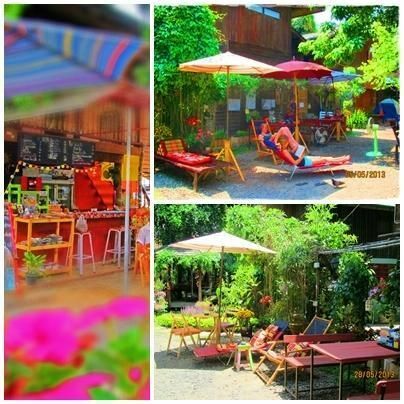 Aoi Garden Home is located in the northern center of Chiang Mai town. 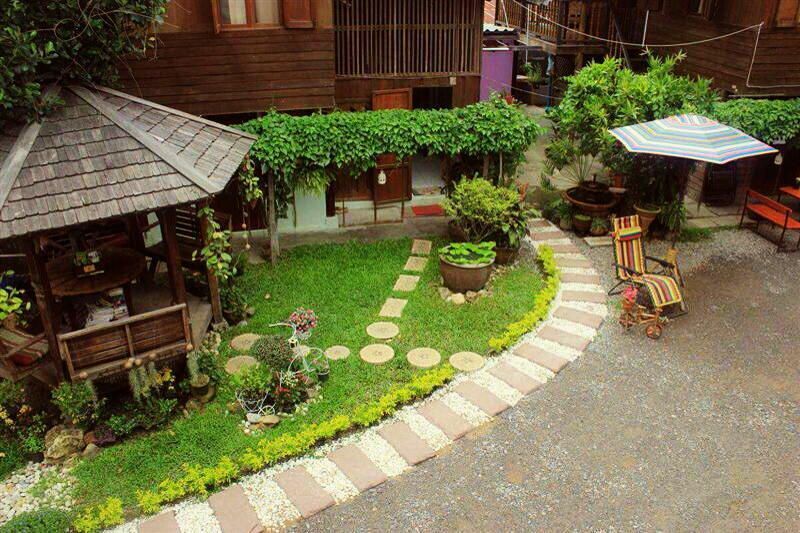 Our guesthouse has 2 stories of modern Thai wood style housing with a clean, safe, comfortable and friendly atmosphere. We are close to many travel spots such as Tree-Kings Monument, Walking Street, Chang Puek Gate, Chang Puek local food market and Thai airways office.We have: A/C room with Cable TV, shared bathroomFan room with Cable TV, shared bathroomDormitory room with shared bathroomand all bathrooms have a hot or cold shower. We provide :Free wifi, bar and restaurant - bar offers a wide variety of delicious thai food and drinks (continental type breakfast also available), a peaceful and cozy garden home setting. Friendly chats about all things Thai including culture, Buddhism, food, and history.Our services :We help you to mange your trip in Chiang Mai and around with our tour and travel information desk.Trekking, cooking courses, ziplining, and elephant tours and training are the most popular and highly recommended. We also provide access to motorbike and bicycle rental for a full 24 hours.Night life :There are many bars within 10 minutes walking distance of our hostel. We've never counted but it's somewhere around 15 different locations. 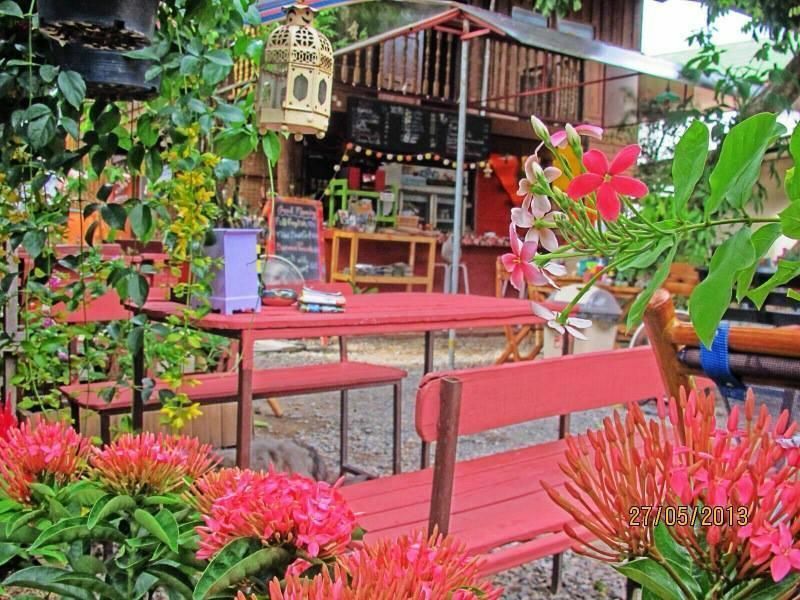 Within a 20 minute walking distance there's over 40 different bars to choose from!Check it out yourself and we welcome you to our family!We will arrange and organize various activities for you to enjoy during your stay in Chiang Mai. While Jungle Trekking, Elephant Training, and Thai Cooking School are the most popular activities that we arrange for our guests, there are so many other kinds of adventures that we will help you organize. You can rest assured that we are booking your activities with organizations that have always delivered exactly what was promised to our guests. We have a set relationship with specific companies that allows us to gaurantee you the quality experience you are paying for. We can also reccommend tons of fun things to do on your own in and around Chiang Mai that are free or low-cost.Note: Since we want you to have the best possible Thai experience, there is no reason to book activities ahead of time for your stay in Chiang Mai. Just make your way to Aoi's Garden Home and allow us to take care of all your adventure activity booking hassle and worry free! Transportation: From the airport:It takes about 10 minutes by taxi or tuk tuk. Depending on the time of day and number of people (this applies to taxis/tuk tuks in Chiang Mai in general), you can expect to pay on average 120-150 baht (total, not per person).From the bus or train station: It takes about 10-15 minutes. If you come here by red cab (truck) it can be as cheap as 40 baht per person. By (private) tuk tuk, it will probably cost 80-120 baht.Unfortunately, as of this time we don't have a pick-up service so you will have to arrange your own transportation to the hostel.If your driver is unfamiliar with the hostel, feel free to give them our phone number so they can call us directly for directions.